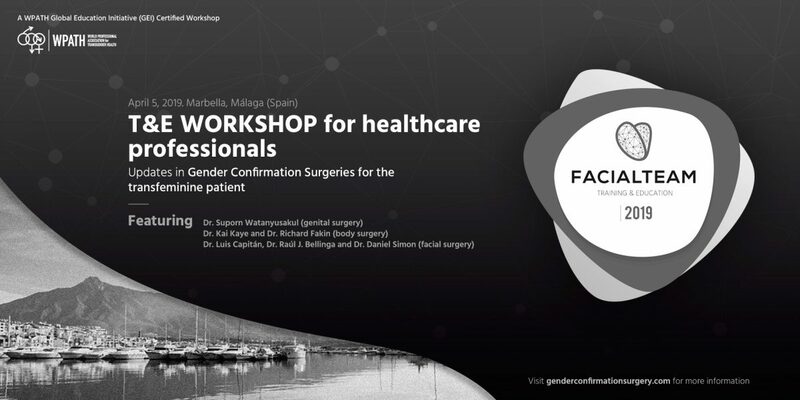 As part of its commitment to high-quality healthcare for the transgender community, FACIALTEAM Training & Education presents the inaugural gender-affirming workshop, Updates in Gender Confirmation Surgeries for the transfeminine patient, held in Marbella, Spain, on Friday, April 5th 2019. 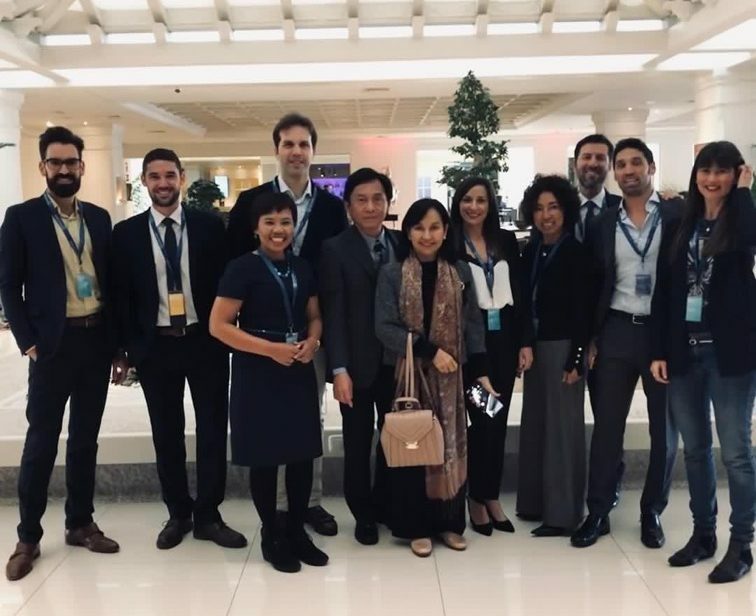 This workshop featured internationally recognized gender surgeons on state-of-the-art approaches in three different fields: genital, body and facial gender confirming surgery. Dr. Suporn Watanyusakul, widely known for his dedicated practice for transgender patients, outlined his gender transition surgery methods. 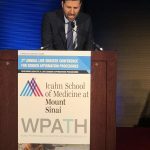 Dr. Kai Kaye and Dr. Richard Fakin, founders of multinational Ocean Clinic Gender Unit, presented new techniques in body contouring and breast augmentation. 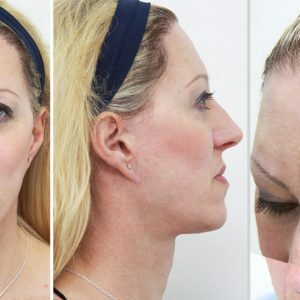 Dr. Luis Capitán, Dr. Raúl J. Bellinga and Dr. Daniel Simon of FACIALTEAM, addressed facial feminization surgical techniques, including forehead reconstruction, simultaneous hair transplant, feminization rhinoplasty, lower jaw contouring and Adam’s apple contouring. Worth noting is that Dr. Suporn has announced retirement from undertaking operations on a full-time basis by the end of 2019. Therefore, this event was one of the last training opportunities available with this highly respected surgeon. The Training & Education workshops cater to the professional development needs of specialists in oral and maxillofacial surgery, reconstructive and plastic surgery, ENT surgeons and other new or initiating healthcare professional with basic experience in the field of gender identity. Attendees are eligible for continuing education credits, certified by WPATH’s GEI program. READ What is ffs surgery? 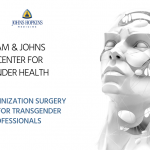 The Facial Gender Training Workshop, Updates in Gender Confirmation Surgeries, was a singular experience for all involved. 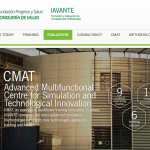 FT would like to extend appreciation to the sponsors of this landmark event, whose support have made it possible: HC Marbella International Hospital, Nemotec, Mectron, Incotrading and Anton Hipp, whose support makes further professional development possible for a future generation of medical specialists in this small but growing field. 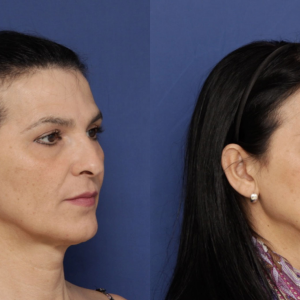 Also, special thanks to Director of Training & Education and Research & Development of FACIALTEAM, Dr. Fermín Capitán, who has been the principal impetus behind the implementation of this unique educational opportunity: an event which joins experts in diverse fields of transgender surgery from around the world together, for one day, in Marbella.